Many people are getting on board and trying out Airbnb. It’s a great way to find a unique place to meet your travel needs in over 190 countries throughout the world. 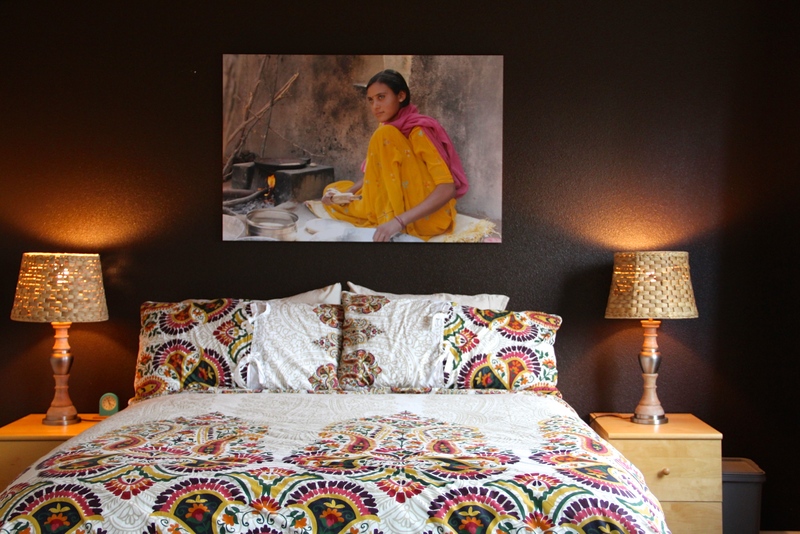 You can find a room to share, a private room, or rent the whole house or palace! But Airbnb also has its own culture and for many that may be new. Yes, it’s part of the sharing economy, in which people are sharing their homes. It requires both guest and host to have some trust, which in and of itself requires a different approach than booking a hotel. By sharing a home with someone you have the opportunity for a more unique taste of culture in that city. Read. Yes, I know, reading takes time and we are all short on time, but each host has different offerings and expectations for guests in their homes. Keep in mind this is someone’s home, not a hotel. Many hosts have put a lot into their listings so do be sure to hit the “more” button when it comes up and view all parts of the listing to see if it meets your needs. You will find an amenities section and house rules section, they will tell you a lot. Think of it like an online dating website to see if this is a partnership that has some mutual ground, if not, seek a place that does. Pay attention to check-in and check-out times. If these may be challenging for you, talk with the host in advance to see if there is any flexibility. Read about the host to see who they are, especially if you will be staying with them. Read the cancellation policy as each host can set it as “Flexible, Moderate, or Strict,” and each of these is defined by Airbnb. If there are no reviews and crappy photos, keep looking. 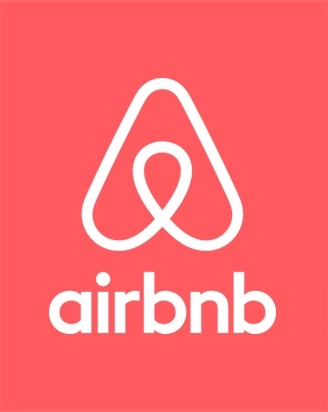 Both guest and host have 24 hours from the check-in time to contact Airbnb if this is not a match and it doesn’t work out. Don’t be afraid to ask questions prior to booking. If you aren’t sure about the location and how close or far it is from what you will be doing, ask. If you have unique needs and want to know how that will work during your stay, ask. If you keep odd hours, mention this and see if it will work for you and the host. Airbnb is more about finding common ground and building relationships, than it is about just finding a place to stay. You can use the “Contact Host” button below the “About this Listing” section and make an inquiry prior to booking. Once you find a place that looks good, reach out by sharing your own unique self and situation. You can do this under the narrative section as you make a “Request to Book.” Tell the host who you are, why you are traveling to their city and why you liked their place. Hotels are about anonymity, but Airbnb is about people and building relationships. If this is your first time, you may need to get “Verified ID“ via the Airbnb system. This is one way of confirming who you are and it gives the host a bit of a safety net. It can be quick if you are active on social media or you may be required to make a video and provide proof of ID. So allow a time to accomplish this prior to your departure. Load the Airbnb app onto your smartphone, notepad or laptop, so you can use it while on your trip. This makes getting in touch with your host easy, both prior to, and during your stay. While you can also text the host, if you use the app or communicate via the website, both guest and host conversations are all in one place for your own reference. It also protects guest and host as these conversations are accessible by Airbnb should there be a conflict. Be sure to use your same email address that you originally created your Airbnb account with to log onto your app. This will avoid duplicate profiles and confusion. As you make plans for your trip, determine if you will need to rent a car or use alternate transportation while there. Don’t hesitate to reference the listing or ask the host about public transportation. Many cities have great public transportation, rent bikes, etc. Depending on your plans, you may be able to save money and get a feel for the local people by walking or taking public transportation. About a day or two prior to your arrival, discuss arrival times if you haven’t already done so. Hosts will have their “Check-in” and “Check-out” times noted on their listing. You want to be sensitive to this as some people work or have other guests staying prior to your stay, and they need time to get things ready for you. So be in good communication about your arrival plans. If your plane leaves in the PM, some hosts will also allow you to store your baggage in their garage or a separate room if you need. It’s OK to ask and see if there is a way to meet needs of both guest and host. Re-read the house rules and any special information about access to the house prior to leaving on your trip. Print these up and bring them with you for easy reference or save on your smartphone. Arrive on or near the time you say and if it changes, contact your host to update them. Think of this more like a friend who is waiting for you, versus a hotel lobby that has someone at the desk at all times. While staying in your Airbnb home, ask questions about how they like things done and be respectful that this is their home. Each home will vary a great deal. When you book the whole house, you likely may never see the host, but they are available via the app or phone. Can you eat and drink what’s in the refrigerator or do you have a spot for your special items? Do they want you to strip the beds or do anything special with the trash or as clean-up? If you need something to make your stay go well, do speak up, don’t wait until the review to say you had an unmet need. All guests and hosts get to review each other at the end of their experience. Hosts are rated on their accuracy, communication, cleanliness, location, check in and value. Hosts who excel in their hospitality can get what is called “Superhost” status. This is indicated at the bottom of their listing page along with their scores for response rate (how often they respond within 24 hours) and their response time (such as within an hour or a few hours or a day). Guests are rated on their cleanliness, communication and observance of house rule. You want to be a good guest, so you get good reviews. All the tips above will help you be a great guest and hopefully make it a fun stay for both you and your host! If you enjoyed this blog, consider “following” my future blogs via the front page. By following, you will get an email notice when my next blog is posted. I do not share your email with anyone and I keep my blog free from advertising and spam stuff…because that’s what I like too. Great post. I’d been curious about how Airbnb works. I don’t know that I’m brave enough to try it! Thanks for your comments. I hope the post helped you get a feel for how Airbnb works. It has been a great experience for me, yet it does require some flexibility. It also can provide a much more rich experience. I love that you have had such a great experience as a host, Kathy! I love hearing your stories. I am not sure I’d want to be a host, but I know we’d love to be guests in other homes – Jason and I both love the bed & breakfast experience for that reason, often talking for hours with the owners/hosts. Thanks Kristina. Glad you liked the post and have enjoyed being a guest in a hosted environment. I will be staying at an Airbnb in Austin for Vida Vegan Con III. Can’t wait for May to get here! Have a great trip and report back on how it goes if time allows. I hope the tips make it go smoothly. I’m more of a hotel person but this concept sounds interesting. Good if it helps to bring hotel prices down.